Hello everyone! I’m actually on time for once! lol. This week, I’ve got a special guest joining me. 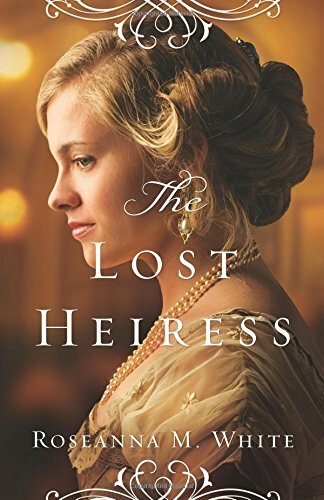 Roseanna M. White has graciously taken time out of her day to answer some fun questions to celebrate her newest release: The Lost Heiress. And let me tell you, this book was awesome! But, maybe I should save my thoughts ’til after I let you meet this wonderful author. I love the character of Brook. She’s so headstrong and spunky but somehow manages to be graceful too. Was it difficult finding that right balance between the free-spirit and refined lady? Brook is an old friend of mine—I first came up with this story when I was 12, and as I revised and rewrote innumerable times over the last 20 years, she grew and changed pretty organically. =) By the time I wrote her this final time, I didn’t have to put too much thought into her character. I knew her so well! I wanted someone who captured the elegance and refinement of those historical days, but who also would appeal to modern women—someone who led the way in being more than what society said was acceptable, yet did so in a way that made her beloved and not shunned. I think the most surprising character for me was Brice. How did you manage to make him so lovable, have him fit so well with Brook, but yet manage to not necessarily make him a rival? I wanted Brice to be a character we loved so well that we just have to read his story next. 😉 I did that first of all, I think, by making him a genuinely good guy. Someone with spiritual depths that surprise us, with charm and wit . . . but someone who has no interest in being involved in a love triangle, LOL. He knows from the moment he meets Brook that there’s something between her and Justin, so I also made him fight for them as a couple—even when they’re not fighting for themselves. Definitely something rivals don’t often do, LOL. You’ve mentioned that this story was first written when you were really young. How does it feel having these old friends finally printed on page? Oh my gracious, words can’t explain it! Twenty years is a loooooong time to have a story close to your heart—and while I’ve simply put aside many other stories with no intentions of revisiting them, Brook and Justin always drew me back. Sending them out into the world now is just amazing (and maybe a little scary, LOL). What changed the most from the first drafts to now? Did anything remain constant through all the revisions? Biggest change—Whitby, Brook’s father. In every version up until the final one I submitted to Bethany House, both her parents had been killed when she was a baby. I decided that just didn’t work right with the inheritance and title I wanted her to have, so I thought, “Okay, she needs a father who’s alive.” Which completely changed the course of the story, in a way I adore. Whitby is one of my favorite characters! I really don’t know how I ever wrote it without him, LOL. And my last question, one of my favorites to ask authors, is do you have any advice for aspiring authors out there? Absolutely! The most important thing you can do is to respect your dream—that means that you work for it, you fight for it. You put in the time it takes to learn your craft, you don’t sell yourself, your story, or your goals short by taking the quick and easy path. And you realize that if this is something God wants you to do, He has a path already laid out for you—you and only you. Your journey will be unique, unlike any other author’s. And many times, it’s a journey that’s not about how your writing will change the world—it’s about how your writing will change you. I’ve grown so much closer to the Lord because of the stories He’s given me, and even those books I’ll never publish (of which there are MANY) were worth writing, worth working on. Because they’re stories that showed me a truth about Him. Publication isn’t always God’s goal for us when He lays something on our hearts. And even when it is, that doesn’t mean it’ll all come easily. Like all good things, it requires a lot of blood, sweat, and tears (hopefully most of those are metaphorical…). 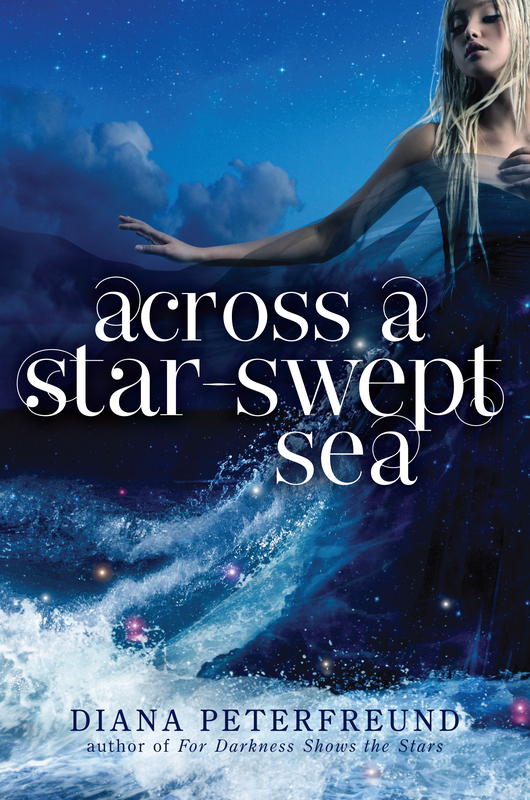 The beginning of a new series, Roseanna M. White thrills with promises of a great saga. Following the path of Brook Eden, a young woman who’s lived in a family she knows she doesn’t truly belong to. She’s adventurous, strong, with a kind heart who only wants to finally feel wanted. When Justin, her best friend, locates her family she is shocked to be thrust into English nobility, and even more so to be fully welcomed by the father she never knew. Now thrust into society as equals, Brook and Justin begin to realize just how much they mean to each other, even while fighting the growing love between them. But while her return feels like a fairytale, it also thrusts her into danger and trouble. The mystery surrounding her mother’s death seems to still haunt her, and no one is certain who is friend or foe. This is a beautiful story, set in both Monaco and the English Moors. The characters warm their way into your hearts, even while being a bit idiotic at times. I have to say, as much as I loved the romance, I think the real relationship that stood out was Brook with her dad. The true camaraderie and love her father has for her is beautiful to read. The mystery is so well written, teasing hints throughout the entirety of the story, ending with a promise that the story is far from over. A beautiful Edwardian-era novel, it is one I would recommend for anyone who wants to get lost in a good book. And I must thank this wonderful author for providing me with a copy of this novel for an honest review. Hello all! Okay, it’s been a VERY long time since I wrote. And I’m so sorry about that. I am working on getting better at managing my time so I can get back on a routine with this. Not like I’ve ever been on a routine, but still. lol. This week, I’m dedicating to YA Fantasy, and specifically the newest series created by Diana Peterfreund. 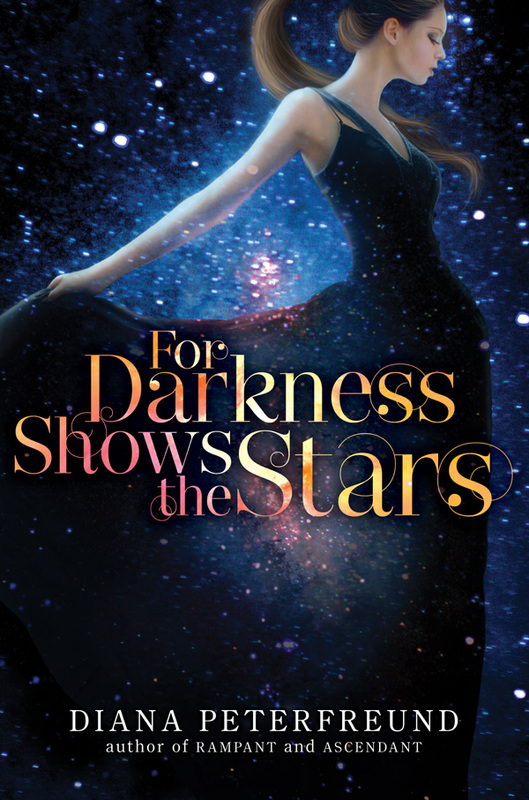 Known as the Stars Series, this collection of novels, and novellas, were wonderful to read! Great retellings of classics with wonderful twists. But hey, let me just share my thoughts. So, have I peaked your interest? I hope so. These really were so much fun to read! You can find her entire collection for Kindle or Nook, and the novels are also available in paperback. 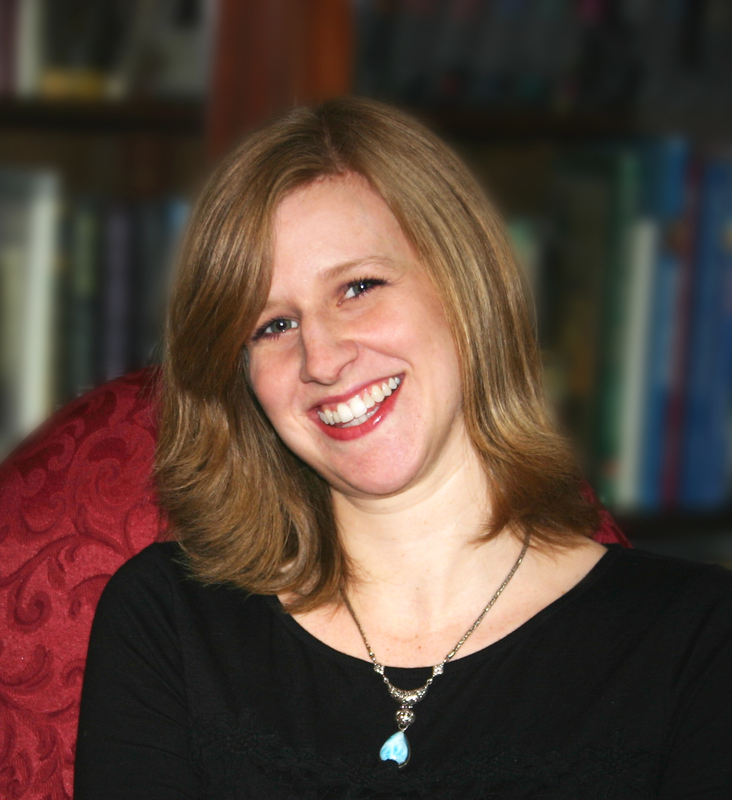 Also, feel free to follow this wonderful author on Facebook, Twitter, and her own website. I hope you enjoyed these as much as I have!